***Over 4 million downloads and 4.5 star rating! ***The holidays are fast approaching. 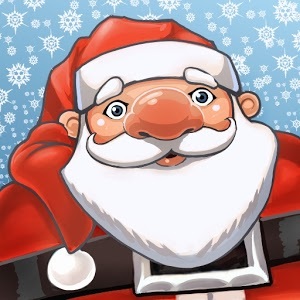 Santa needs your help to build a new village and save Christmas! Construct homes for Santa’s elves, earn Bells from making toys, teach reindeer how to fly, and meet magical neighbors like Yobo the Yeti. Unlock special buildings and colorful decorations to make your village merrier. Keep out the Grumpkins, mischievous creatures who want to ruin Christmas, with a good snowball fight! In Santa’s Village, the North Pole becomes your personal playground. 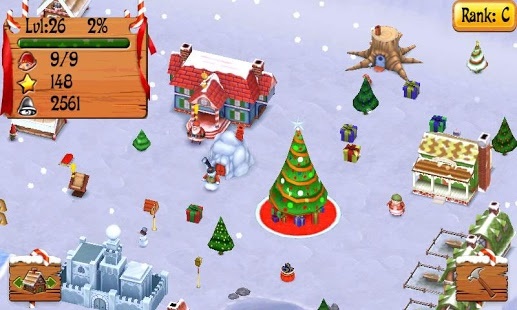 Customize a winter paradise with more than 120 buildings and decorations. 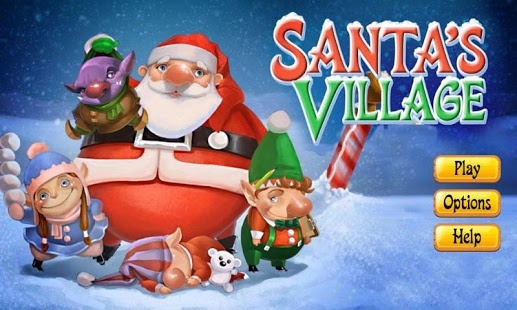 Get quests from Santa and a cast of unique Christmas characters as you grow your Village. Check out the cool 3D zoom graphics that let you see your village and all your buildings with a complete wrap-around view. Play mini-games like Snowball Frenzy and Reindeer Flight School to earn Bells. Choose from over a dozen toys to build in your Workshops. Learn about life in the North Pole through a comic book story that unfolds as you go. This famous Holiday game is a sleigh-load of fun and perfect for the whole family. Play offline! Internet connection not required. 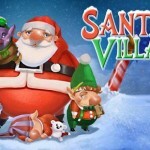 Santa’s Village is always free to play, but certain buildings and mini-games can only be unlocked with in-app purchases. Improved save/restore village feature, bug fixes.